Now Includes The Royal Gorge Scenic Railroad! filled with a little elegance. Transport yourself back in time aboard four unique railways on this amazing tour. Fly into Denver, the "Mile High City." Meet your fellow travelers for a get-acquainted dinner with tour host Mark Warther, of the Warther Train Museum in Dover, OH. GEORGETOWN LOOP RAILROAD: This railroad connected the thriving mining towns of Georgetown and Silver Plume with horseshoe curves, grades up to 4%, and four bridges across Clear Creek, including the massive Devil's Gate High Bridge. A great way to start your trip. GLENWOOD CANYON: En route to Colorado's wine country, you'll stop for a visit at the scenic and rugged Glenwood Canyon. Take in the views and be sure to capture a few photos! Feel free to dip your toes in the Colorado River, too. WINEMAKER'S DINNER: Tonight, experience a winemaker's dinner at the award-winning Wine Country Inn, set amid acres of gorgeous vineyards. COLORADO NATIONAL MONUMENT: Visit one of the grand landscapes of the American West - Colorado National Monument. Stand in awe of the breathtaking views of deep, sheer-sided canyons and high rock towers. A special evening awaits with an outdoor sunset dinner served on the rim of the Colorado's National Monument. 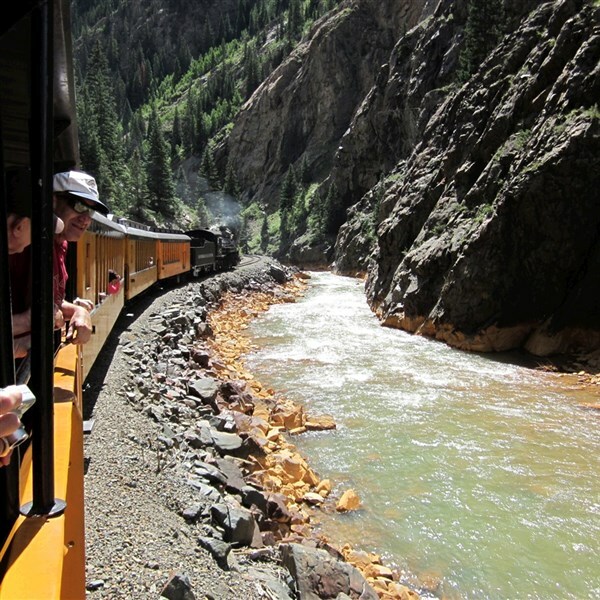 All aboard The Durango & Silverton Narrow Gauge Railroad, voted one of the "Top Ten Most Exciting Train Journeys in the World" by the Society of American Travel Writers. This amazing train winds through breathtaking canyons in the remote wilderness of the two-million-acre San Juan National Forest. TODAY IS FOR DURANGO! From local history and railroad museums of historic downtown to the ancient cliff dwellings of Mesa Verde National Park, Durango is truly where the new west thrives. Dinner tonight is at an Old West landmark, the Historic Strater Hotel. 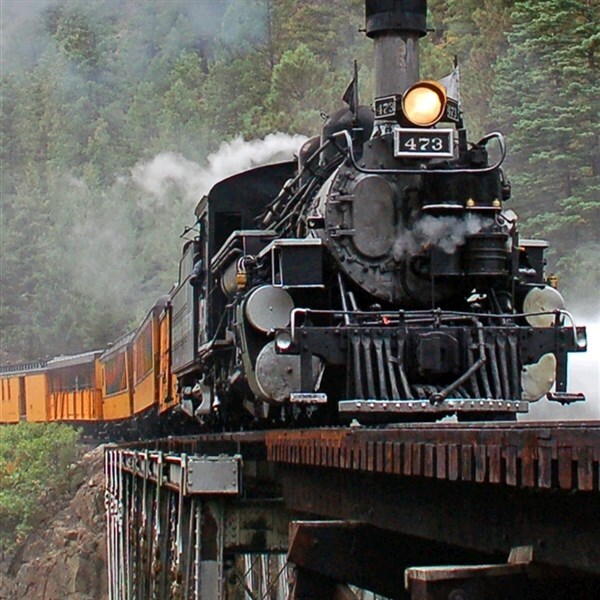 CUMBRES & TOLTEC: Chug along America's highest and longest narrow gauge railroad. This scenic journey unfolds as soon as the train departs the Chauma, New Mexico station. U.S. AIR FORCE ACADEMY: Visit the U.S. Air Force Academy, which is best known for its famous and stunning Cadet Chapel (when available). TRADING POST: Your day also includes a visit to the Trading Post, which has welcomed visitors for over 100 years. Browse through 25,000 square feet and over 90,000 different gifts, souvenirs, jewelry, and locally-made art. This afternoon, we check into the Cliff House, a Four Diamonds historic country inn at the base of Pikes Peak. Travel + Leisure Magazine ranked this inn #80 on the Top 100 list of worldwide places to stay. 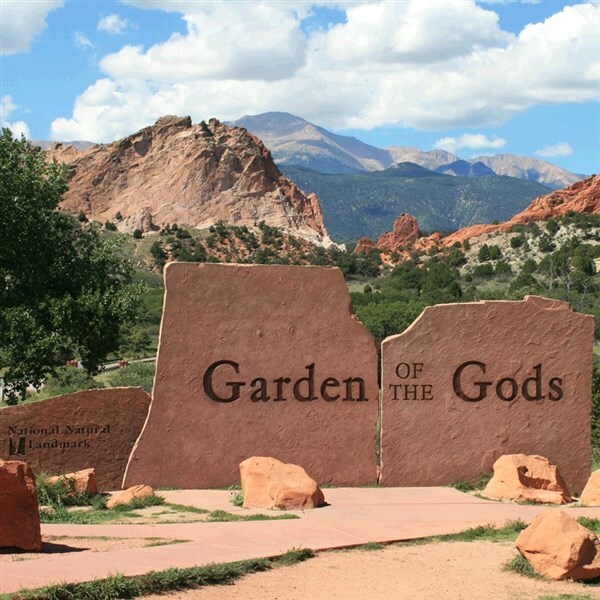 GARDEN OF THE GODS: This 1300-acre park's red sandstone formations tell a unique geological story. ROYAL GEORGE SCENIC RAILROAD: Tour our last great rail experience, in a 1950s style Club Class coach. You'll get lunch with table-styled seating, allowing you to focus on stunning views. Experience the outdoor grandeur of the Royal Gorge aboard the open-air car, too. Travel home with memories of this unforgettable journey. DEPOSIT: $100 per person at time of reservation; final payment due April 22, 2019. Once final payments have been received, stringent cancellation penalties apply. ACCOMMODATIONS: Embassy Suites, Denver, CO (1 night); Wine Country Inn, Palisade, CO (2 nights); Historic Strater Hotel, Durango, CO (2 nights); Holiday Inn Express, Alamosa, CO (1 night); Cliff House at Pikes Peak, Manitou Springs, CO (2 nights). TOUR INCLUSIONS: Personally escorted by tour designer Mark Warther, motorcoach transportation to airport/resort transfers, roundtrip air, hotel accommodations, luggage handling at hotels, 16 meals including 8 breakfasts, 2 lunches, and 6 dinners.